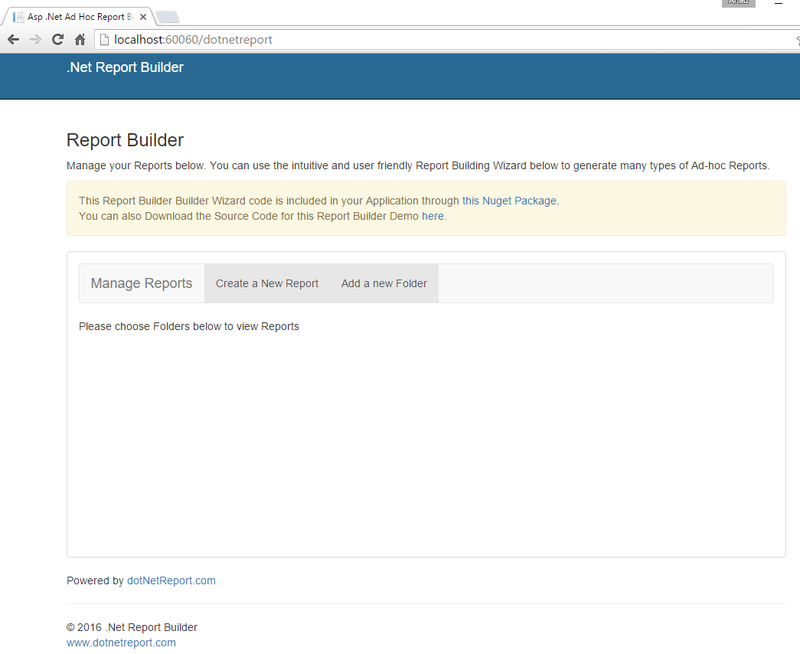 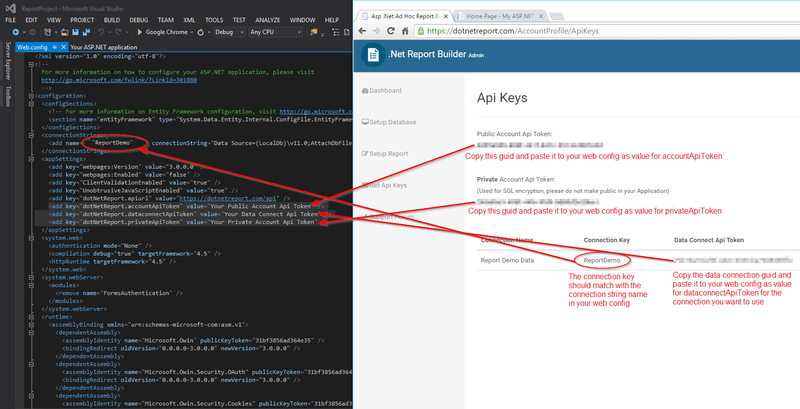 This tutorial explains all the steps of adding .Net Report Builder to your software application. 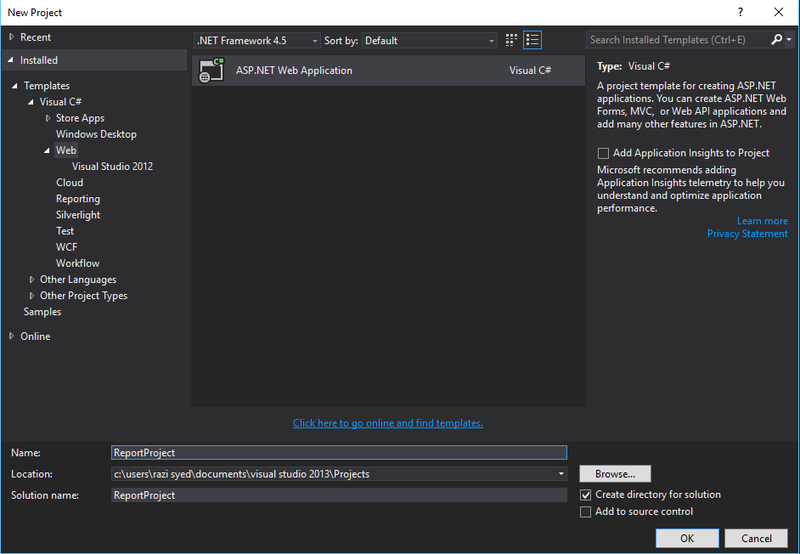 For this tutorial, you must have already signed up and setup your Database information. 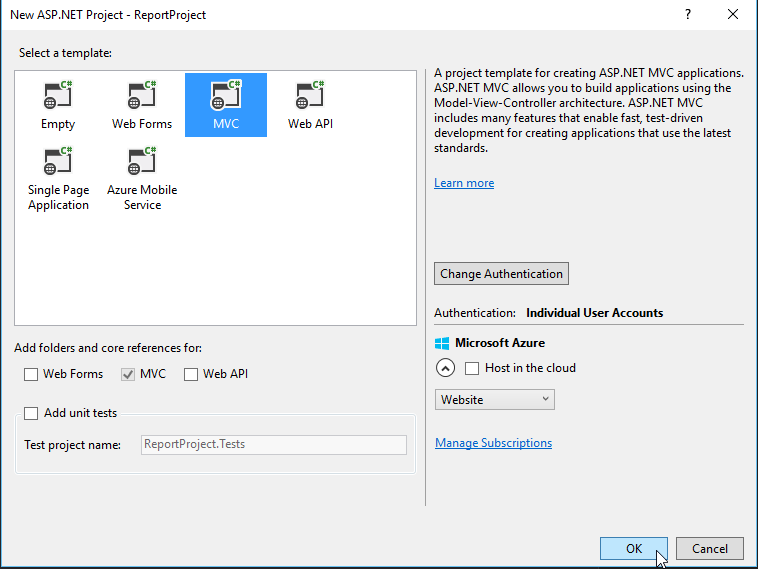 For our tutorial, we will setup and use a new MVC Project. 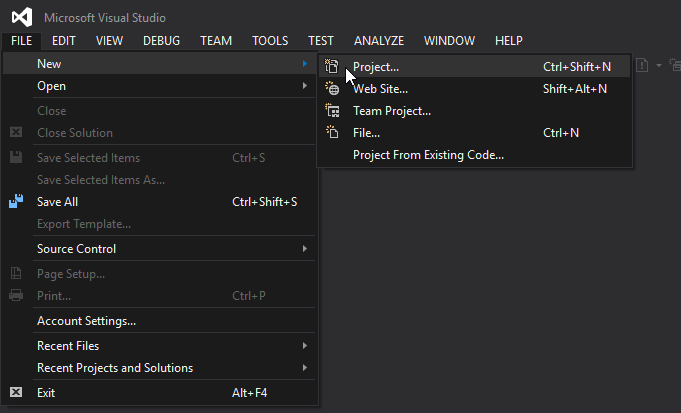 So start Visual Studio, and click on File -> New -> Project. 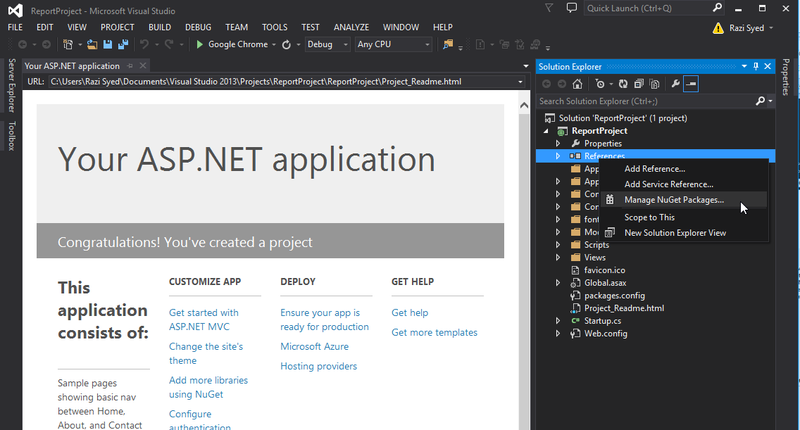 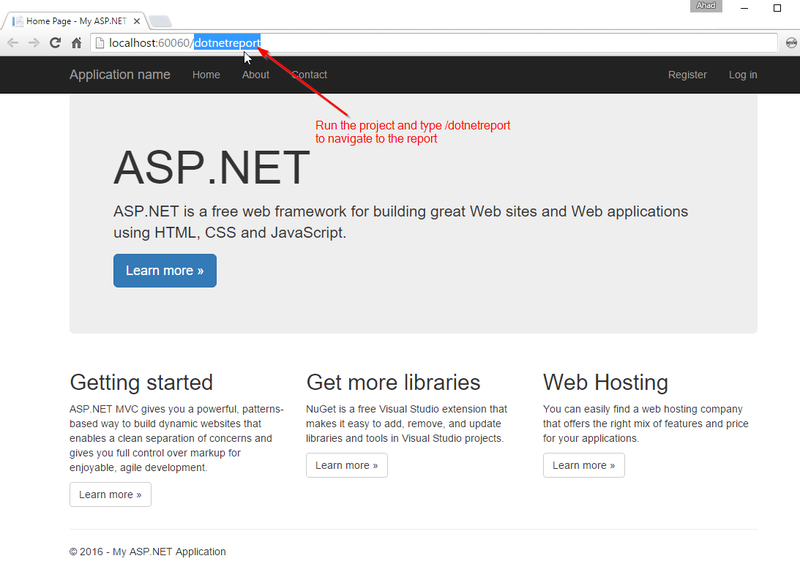 Next, choose “ASP.Net Web Application”, and name it “ReportProject”. 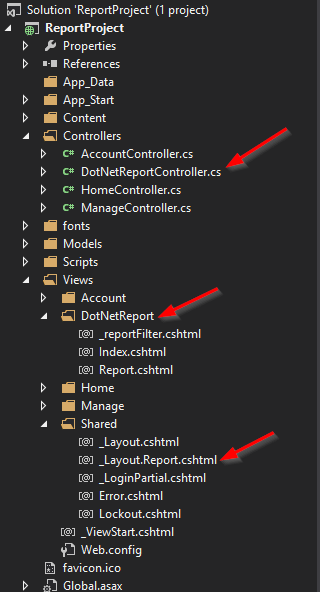 In the next step, choose “MVC” and click “OK”.